Stone’s Arrogant Consortia Bands Together With Metallica, What the Ale! Four main ingredients comprise any beer: Water, of course, is the blank canvas, while barley provides the sugar, hops add the spice, and yeast is the catalyst that pulls it all together. If you were to equate the band Metallica to these four elements, then James Hetfield is the water (he doesn’t drink), Kirk Hammett is the barley (he also doesn’t drink, and he’s super-sweet on guitar), Rob Trujillo is the spice, and Lars Ulrich is undoubtedly the yeast, as he formed the group in 1981. 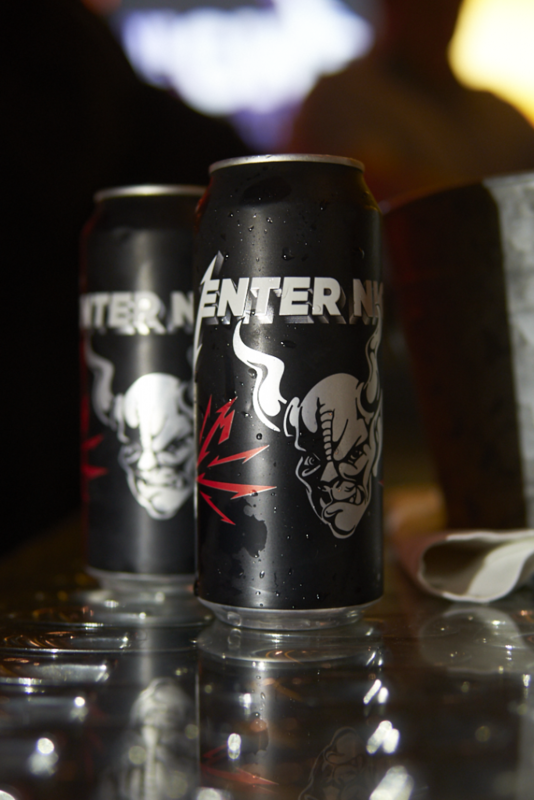 Metallica recently partnered with the Arrogant Consortia, a sub-brand of Escondido-based Stone Brewing, to make a beer worthy of shaking one’s head violently in unison to the beat of loud music: Enter Night Pilsner. The lager is made with German ingredients, but is inspired by Stone’s rich IPA roots; it takes a base style and cranks the volume up to 10. “Hell, yes, I love this beer,” notes Trujillo, who visited the Stone Distributing facility in Downey, the city where the band started. 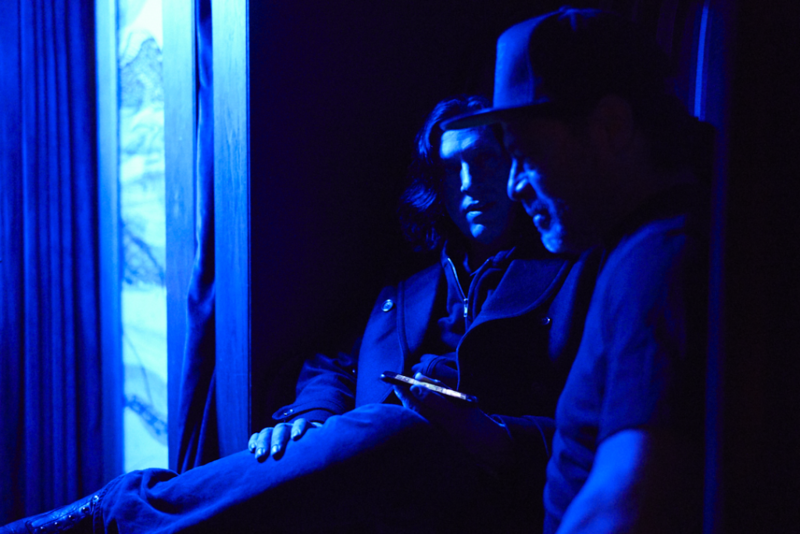 Onstage at the launch event in an undisclosed Hollywood space, drummer Ulrich layed it on thick. “We have a bit of an exclusive tonight. . . . We’re retiring because this is the pinnacle—on this gray Monday night in Hollywood. Thanks for being a part of . . . 37 years,” he said, full of smiling sarcasm. “Wait, we’re the Yoko Ono of Metallica?” retorted Stone Brewing co-founder Greg Koch to laughter from attendees at the small venue. Who knew rock stars and brewery founders were so hilarious? The can itself is metallic, at least. One fan noted it as the St. Anger of beers, whatever that means. I think it’s quite tasty. 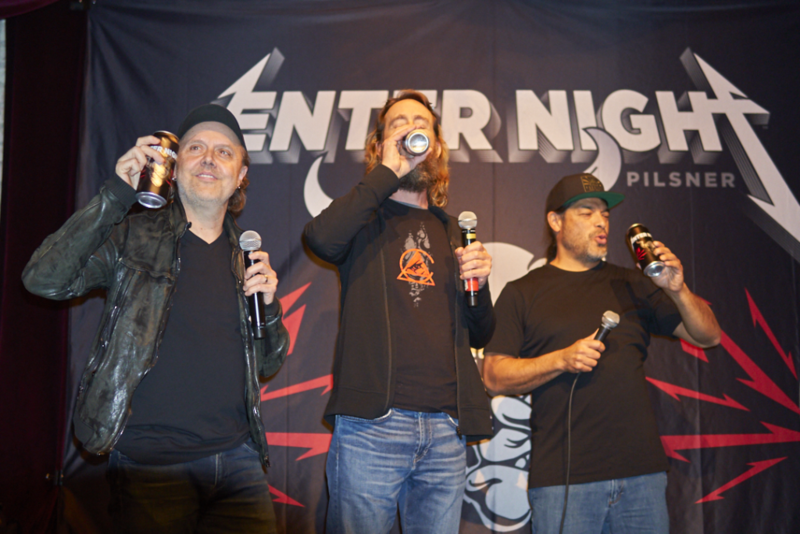 You can find Enter Night Pilsner everywhere, especially on Metallica’s tour this year.